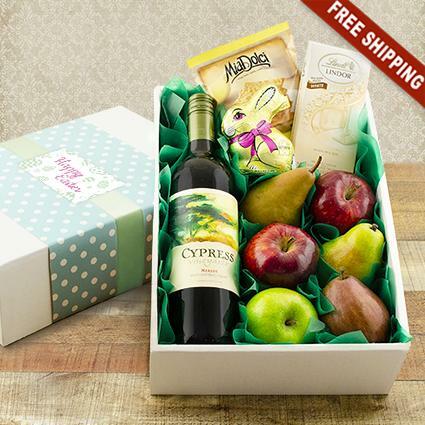 Start the Easter celebration with a gift box filled with red wine, fresh fruit, truffles, cookies and a chocolate bunny! Cypress Vineyards Merlot by J. Lohr, from California’s Central Coast, offers varietal aromas of black currant and ripe plum, complemented by a bouquet of toasty oak. Pairs wonderfully well with grilled portabello kabobs or barbecued short ribs.